Why is Company Celebration Important? You’ve gotten a lot done this year. When you think about the hours that all your employees have worked over the last 12 months, you’ll be amazed at how much work has actually gotten done. It’s time to celebrate that work! Even if the year’s goals were not met entirely, your employees have dedicated countless hours and probably some sleepless nights trying to get you there. Don’t forget that employees are people, too, and everyone wants to know they are appreciated. With one great night of fun and non-office time, your employees will feel how appreciated they are and be grateful that the company they dedicate their days to have put in the effort and budget to make sure there is one event where their hard work is acknowledged. Culture is a buzzword in business right now, and for good reason. Having a great culture increases loyalty, participation and performance. In fact, company culture is one of the top five things people looking for jobs consider for their next company. 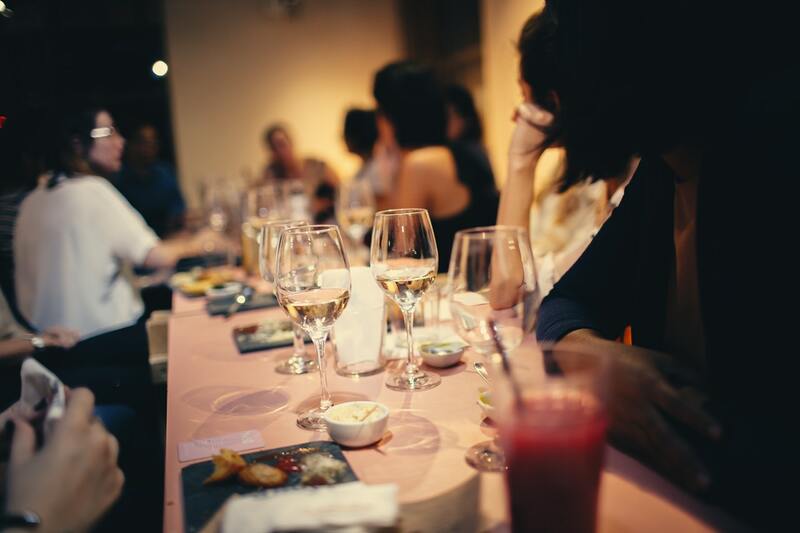 By offering a night of fun, you can improve the culture for your current employees and create an atmosphere new hires will be excited to be a part of. Get your cameras ready! Company celebrations are a great time to get those pictures to put on your website, social media and marketing materials. You’ll have a chance to snap a photo of happy employees somewhere other than in a conference room. Imagine snapping some shots of your gathering on the acres of lush grounds around MIT Endicott House. You can use your company party as a subject for a blog or press release that earns you great publicity in the media. A company party is a great chance to do those team building exercises you read about. By doing this, you can improve your teamwork and have a fun party game all in one. Team building can be done as departments, random groups or a company as a whole. At MIT Endicott House, our staff can help you plan some fun activities including obstacle courses. No matter what, your employees will come away with new skills and stronger relationships. It’s easy to forget to ask how a co-worker’s kid is doing or if a spouse is doing well when you are sucked into the daily grind of emails and meetings. A company party is a great time to reconnect with your office BFF or meet that new hire that you just haven’t had time to take to lunch yet. At your events, encourage departments to mix or create a seating chart that puts together people who don’t usually work together to maximize the impact. 7. You’ll have fun, too! You deserve a celebration, too! From CEOs to event planning assistants, whoever is planning the party gets to enjoy the great event as well. You deserve a great party to celebrate your hard work and the work of the company. At MIT Endicott House, we have experienced event planners to help put together the perfect corporate event, from barbecues on our beautiful grounds to team building games in our historic mansion. With easy transportation options and on-site vendors, planning couldn’t be easier. Contact us today to help plan your next event.